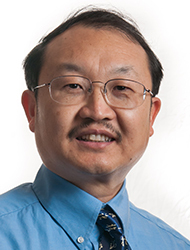 Dr. Liu is a clinical supervisor at Bastyr Center for Natural Health and a core faculty member in the Department of Acupuncture and East Asian Medicine at Bastyr University. He also has a private practice in Seattle. Dr. Liu believes in the balance of yin and yang and the free flow of qi in the treatment of painful conditions, pediatric and gynecological disorders. Prior to working at Bastyr, Dr. Liu served as a resident at the teaching hospitals of Luzhou Medical School and Chengdu University of Chinese Medicine in China. He also worked as medical consultant for two years in Europe. In 2008 and 2014, Dr. Liu was chosen by his peers as one of the region's Top Doctors in Seattle Metropolitan magazine.